It will occur like a thief in the night. Or a sudden surprise knock of the door that changes our demeanor – whether good or bad. The mystery of surprise twists are captured in the best of movies. The genuine joy that can be gained from an undeserving, loving surprise practically outweighs any other combine of feelings. When surprise meets grace …. uncontrollable emotions ensue. Once again, I have caught myself looking at YouTube videos of soldiers spontaneously coming home to surprise their loved ones. The look of awe and tearful incredulity by the family members is simply AMAZING (2:59 is my favorite). Question – How is it that I can empathize with the shock of the family members? No one in my family is overseas fighting for war. The closest that my family has experienced this was the first time that I came home for a visit after first leaving for college. That is an unfair comparison to someone that has been overseas for 8 continuous months and who’s life can be taken at any given second. Maybe the reason that I/we can resonate with the emotions presented in these videos is because at the deepest part of or being we KNOW that a greater day is coming when we shall feel the APEX of that emotion. In that moment, when we are facing this holy and supreme being, we will finally see just how infinitely undeserving we are to be with Him. We wouldn’t help but tremblingly bow down in His presence. As 2 Peter 13:10 describes, everything will be laid bare. In that moment, we will FULLY understand how “All of our righteous deeds are filthy rags”. As our life is reflected on in that instant, we’ll be aware how all our earthly “good” lacks in comparison to this epic God before us. Remember that time we read our Bible for quiet time? It does not match up. Remember the time we worshiped for hours? When we see God’s ultimate glory, we will realize that we should have worshiped infinitely longer. Nothing we did or can do will protect or save us. It is in that instant where will FULLY see the importance of the cross. The magnitude of the love that was shown will blow us away. How can we speak? What emotions will we be feeling? For those that truly believe Christ is their Savior, we may hesitantly mutter something similar to this, “Oh my oh my, why are you choosing me??? Really?? Just crush me. I am dirty and damaged. I can’t even look at your bright perfection.” God, in his warm nature, will then happily tell us, “Jesus has made you clean. He has absorbed the curse and provided the perfection that your soul needed. No wrath for you. Come, join in the wedding supper of the lamb and see true paradise. Come celebrate with ALL my children.” [Galatians 3:13; 2 Peter 1:11]. After all the tears we will rejoice that the curse has been lifted. Mercy Grace Mercy Grace. Those times that you doubted Jesus was real = Grace. That time you were angry at God because of your mother’s terminal cancer = Grace. The staunch atheist that spent his whole life hating God, but in his last days he “genuinely” accepted the faith = Grace. Oh the joy. The joy. The joy!! May we see and savor the supremacy of Jesus Christ. The One who loves us. 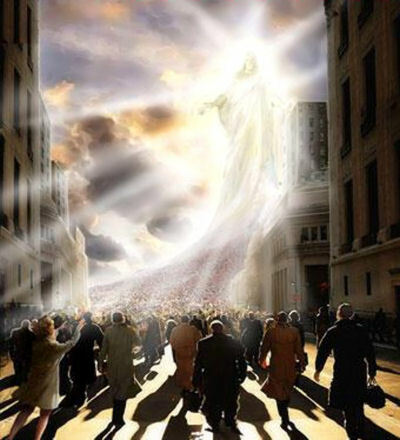 Let us see that He is supreme over the missing Malaysian plane, over all universities, March Madness, all the internet, hurricanes, all of science, over Fox News & MSNBC, our jobs, over our stocks & investments, the Frozen soundtrack, EVERYTHING. Yes, currently this all feels abstract; but the writers of the Bible make it seem as if this is right around the corner. Let us dive into his warmth now. Let us put on his armor as we are warned to be watchful as the time approaches (Ephesians 6:13-18). With the same token … let us still enjoy these tearjerker YouTube videos. Honestly speaking, they are AWWWESOME!! Next Next post: Cute Puppies May Make the Best Atheists!